Decathlon, a French sports equipment chain, has confirmed to A+M its plans to expand aggressively in to Malaysia and hopes to open up to 60 stores within the next decade. 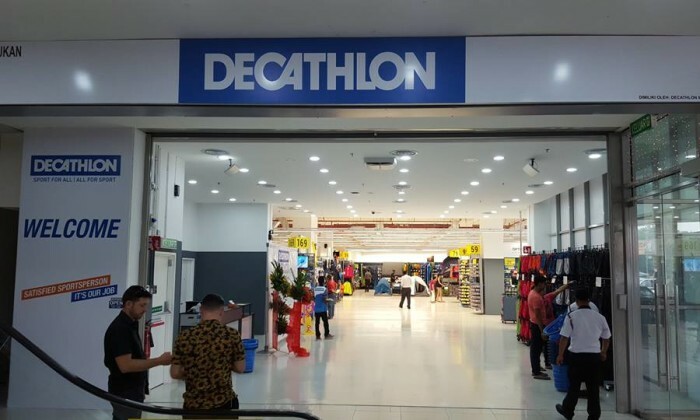 Malaysia is currently third country in ASEAN to have a Decathlon store after Singapore and Thailand. The French brand currently has a presence in over 30 countries globally. In an article published by The Star, Tom Meng, chief executive officer at Decathlon Malaysia, shared that there are plans underway to open 10 stores, with at least five located in Klang Valley. Penang and Johor stores are also in the pipeline. The expansion is part of its global plans to triple its stores globally in the next decade from its current number at 1,000 stores, Meng added. According to its 2015 results, Decathlon opened 140 new retail outlets globally last year. This is in comparison with the 103 that was opened in 2014. In 2015, Decathlon and all of its activities totaled €9.1 billion in turnover excluding tax which represented a 12% increase (10.6% in 2014). On a year on year basis, Decathlon store growth stood at 5% (6% in 2014). Currently, company now operates in 30 countries. Next door in Singapore, Decathlon has two stores. In an earlier conference held in Singapore, Clarence Chew, head of marketing and communications at Decathlon said in a panel that Singapore is a nice drawing board for the brand. If an initiative woks in Singapore, it is likely to in Malaysia and Indonesia as well, he had said. With online piracy on the increase, content giants like HBO are exploring new ways to fight piracy in Asia. .. The ministry also wants the youth to inspire people on how to use social media platform wisely and expand the spirit of heroes thr..